Chatterbox is back with 3 great lines of paper, here's two of them... we ordered them all! They'll arrive sometime in April. The new Doodlebug lines are great, here's a sample of their new patterned sugar coated cardstock. Yummy! Heidi Swapp has some fun new products, including embellishments like these that come in both shiny white and clear! This is a photo of the new Scenic Route Collection, Grafton... which is actually already in stock at the store! I love it! 7 Gypsies sets up an amazing booth with the most fabulous projects on display... we loved the class we took with them and will be presenting something very similar for you next month, after the products arrive. Around the Block always has cool stuff, this is their fun new collection of chalks, scheduled to arrive this month along with lots of other fabulous goodies! 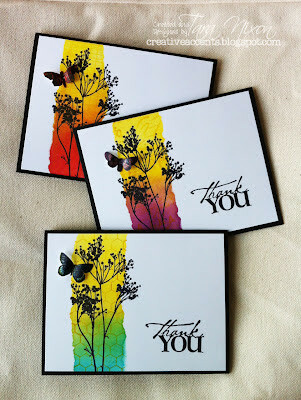 Great new Bazzill products to coordinate with the cardstock we all love... ribbons, and 'just the edge' strips of paper! Here's Becky Fleck! She taught our Basic Grey class and let us snap a photo of her with her new book based on her wonderful Page Maps. We've already ordered a bunch of copies, and she tells us it will probably arrive in April.